From 2007 to 2016, George Washington to Ronald Reagan, and extra. 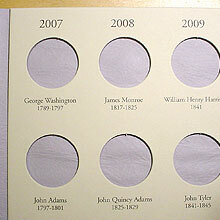 D or P one coin per president. *Image on left is the detailed picture of top left conner(2nd panel).